With the last day of September 2010 upon us, those in the distributed solar energy industry know that the annual ASES National Tour of Solar Homes and Businesses is here. The 2010 Tour of Solar Homes takes place this weekend, October 2 and 3, 2010 from 11am to 5pm each day. Taking place the first Saturday and Sunday of October nationally for the past 15 years, the Solar Tours, organized by the non-profit American Solar Energy Society, allow system owners, students, neighbors, prospective system owners, press, industry reps and others to meet and talk in person on the site of a solar energy system. Common discussions include current incentives, experiences with various companies, solar equipment brands and technologies, and common beliefs and motivations on going solar. 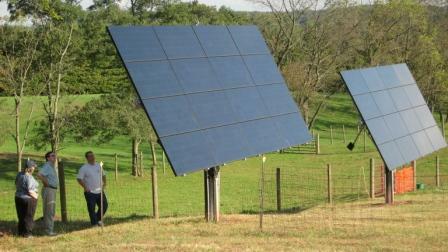 I represented Standard Solar at this dual-axis tracking SunPower array in Woodsboro during the 2008 Solar Tour. 2010 marks the 20th anniversary of the Metro Washington, DC Solar Tour. Over 70 solar and green homes in Maryland, Virginia, and Washington, DC are participating this year. To download a PDF of the 2010 Metro Washington, DC Tour of Solar Homes Guide, go to www.SolarTour.org or http://solartour.org/download.html. Not in the DC region? 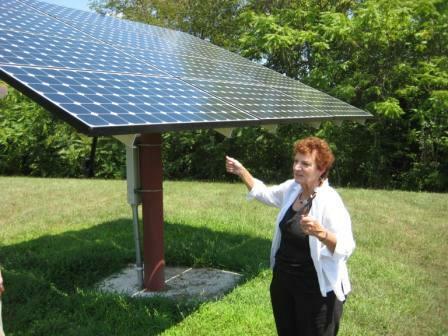 There are more than 5,500 solar buildings to visit in 3,200 communities nationwide this year. To find your local Solar Tour, visit the National Solar Tour website or search this map – http://nationalsolartour.org/find-tour/find-tour. View the guide, pick out one or a few systems that intrigue you, and go visit them this weekend. 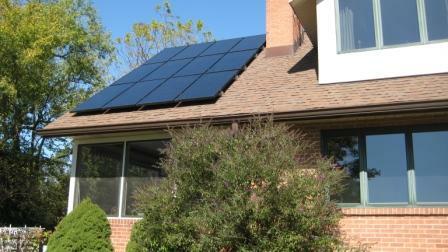 Remember, the 2010 Solar Tour is this weekend, October 2 and 3 from 11am to 5pm each day.